Inter-ethnic violence has gripped the Jonglei State of the Republic of South Sudan in recent weeks, threatening a descent into campaigns of targeted ethnic cleansing in the world’s newest nation. Between 30 December and 4 January, the Lou Nuer ethnic group carried out a massive raid against the Murle ethnic group that reportedly left over 3,000 dead, including many women and children (This figure has yet to be confirmed by the United Nations). The raid has prompted a spate of revenge attacks, with the Murle ethnic group launching reprisals on 9 January, 13 January, and 16 January. During the most recent attacks in January, the Lou Nuer utilized scorched earth tactics, burning fields, homes, and villages. While the armed elements of these tribes have repeatedly clashed, the primary victims of the violence are women, children, and the elderly. The attacks have led to a dire humanitarian situation in Jonglei State. Médecins Sans Frontières (MSF) (Doctor’s Without Borders) reported on 3 January, in the midst of the Lou Nuer raid, that thousands were forced to flee and seek refuge where they had no access to food, water, or medical supplies. The MSF press release also detailed how two of their healthcare facilities in the Pibor region – two of the three facilities that are essential for up to 160,000 people – were looted and attacked. On 4 January, the UN World Food Programme (WFP) said that fighting had “pushed the food security situation to crisis levels”. Despite launching a coordinated aid effort in Jonglei on 7 January, the UN stated on 20 January that over 120,000 civilians in South Sudan remained in need of aid. According to a 19 January press conference in Juba, South Sudan by Hilde F. Johnson, the Special Representative to the Secretary-General (SRSG) for the United Nations Mission in South Sudan (UNMISS), the situation remained tense. Continued hate speech and ethnic violence is reportedly, “putting thousands of lives at risk and threatening the stability of the whole area”. As the armed column of 6,000 Lou Nuer descended upon Murle villages, the Government of South Sudan (GoSS) dispatched a battalion of the Sudanese People’s Liberation Army (SPLA) to the Pibor region in an effort to prevent the attack. Reports later emerged that GoSS forces opened fire on the advancing Lou Nuer column in order to dissuade it from attacking, and that the South Sudanese Vice President, Riek Machar, had traveled to the region to seek an end to the inter-ethnic tensions. Viewed through an RtoP lens, the GoSS’s actions can seen as an attempt to uphold the first pillar of the responsibility to protect, namely the primary responsibility of the state to protect its citizens from genocide, war crimes, crimes against humanity and ethnic cleansing. However, as per the UN Secretary General’s 2009 report, Implementing the Responsibility to Protect, when a state is unable to meet this responsibility, RtoP’s second pillar provides that the UN and its members help States build capacity to prevent the four RtoP crimes, and assist those which are under stress before crises and conflicts break out. In the aftermath of the Lou Nuer raid, the GoSS took further measures to address the violence, with the Council of Ministers declaring Jonglei a humanitarian disaster area and urging, “all the international relief agencies including the UN agencies to take an urgent humanitarian assistance to the Lou Nuer, the Murle and other affected areas in the state” on 5 January. The GoSS also stated that they would dispatch troops to the region, and intended to establish a high level committee to bring reconciliation between the two ethnic communities. UNMISS’s SRSG affirmed the need for continued preventive deployment by the GoSS, and has reportedly increased operations in Jonglei by flying daily reconnaissance missions and deploying troops alongside the government into areas where civilians are most at risk of attacks. Amidst the efforts of the GoSS and UNMISS, the UN Security Council condemned the spate of attacks and urged the rival ethnic groups to, “engage in reconciliation and end the cycle of conflict.” In a press statement on the situation, the outgoing Council President, Ambassador Baso Sangqu of South Africa, deplored the loss of life and emphasized the primary responsibility of the GoSS to protect its population. The Council also commended the efforts of the GoSS and UNMISS. Despite the preventive deployment by the SPLA and UNMISS in Pibor, the armed column of Lou Nuer was able to attack Murle villages, leaving an unconfirmed death toll. Media sources have quoted a Pibor county Commissioner who alleged that 3,141 civilians had been killed in the attacks, but UN officials have yet to release any figures. 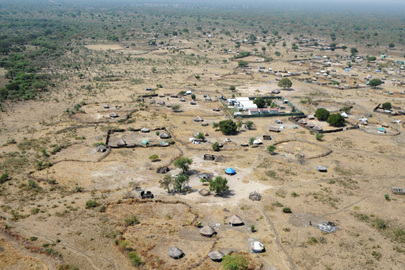 Counter-raids by the Murle ethnic group have also claimed dozens, if not hundreds, of lives over the past three weeks despite the GoSS and UNMISS dispatching troops to areas at risk of retributive violence between the two groups. The reason was painfully simple: we were denied the use of necessary resources, in particular helicopters that would have given us mobility to bring all the UN Peacekeepers where there are no roads except by air mobility. At the critical moment, I was reduced to begging for replacements from neighboring countries and missions. With limited resources, we tried our best. 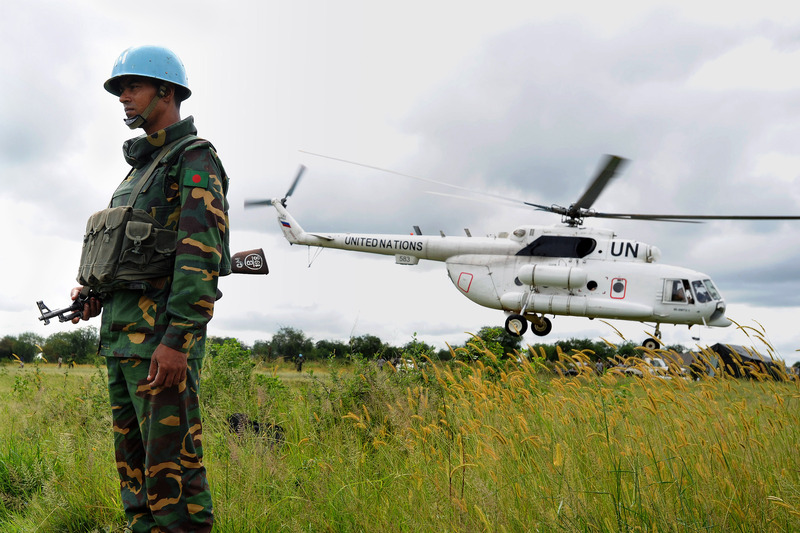 The Secretary-General was referring implicitly to the Russian Federation, which was considering withdrawing its contributions to UNMISS, and carried through with those considerations on 24 January by ordering all of the helicopters, equipment and personnel it had loaned to the UN operation be pulled out. Reporting from Reuters, Louis Charbonneau indicated Russia withdrew its contributions to UNMISS for security reasons, particularly on the basis that a utility helicopter had come under attack by South Sudanese security forces last year. U.N. diplomats and officials told Reuters that one of the reasons for the slow deployment of UNMISS troops to Pibor at the time of the clashes was the Russian refusal to fly its helicopters there…One senior U.N. official, who spoke to Reuters on condition of anonymity, was highly critical of Russia, saying the grounding of its helicopters was “outrageous” and that U.N. peacekeepers needed to be prepared to put up with a certain amount of risk in the interest of protecting civilians. The ethnic violence in the country has thus exposed significant challenges in implementing the Responsibility to Protect. With the GoSS unable to uphold its responsibility to protect its population without international assistance, UNMISS sought to support national action through preventive deployment, fulfilling RtoP’s second pillar. At the same time, however, UNMISS itself is reeling from a capacity deficit – most importantly, in flight-ready helicopters – which has obstructed the force from effectively carrying out its civilian protection mandate during the recent outbreak of inter-ethnic violence. Thus, although the Security Council established UNMISS in a timely and decisive manner – and with a Chapter VII mandate to protect civilians by “all means necessary” – the force itself has been constrained from providing protection for the South Sudanese population. Meanwhile, incitement between the Lou Nuer and Murle threatens further inter-ethnic violence in the country, with civilian populations remaining at risk of attack. To protect civilians from the threat of mass atrocities, all actors involved must address the challenges that have been exposed as a result of the situation. Lives depend on it, in South Sudan and beyond.